Did it ever occur to you that you may freeze on a tropical island? If you don’t think that’s possible, try a road trip atop the Haleakala crater at 4 o’clock in the morning. 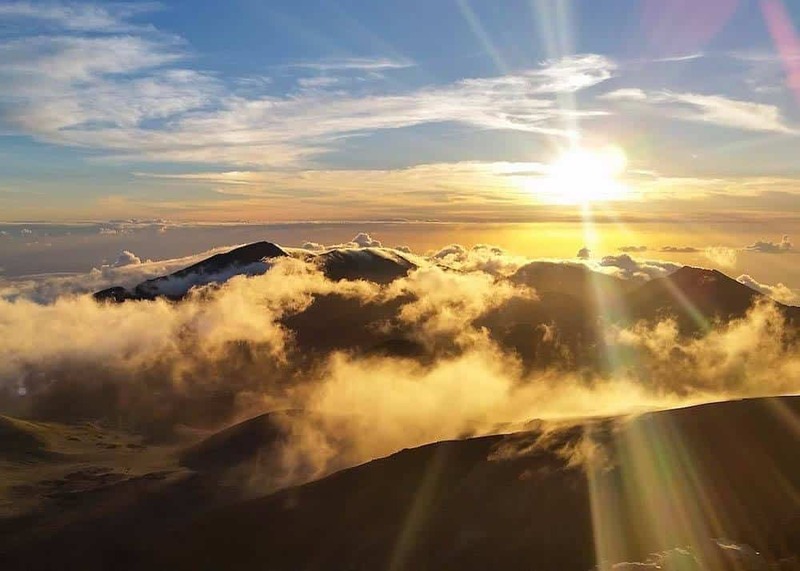 Watching the sunrise at Haleakala is one of the most sought after activities on Maui Island. But is it really worth driving up the mountain for a couple of hours in the dark just to catch a glimpse of the mighty sun showing its first rays behind the crater? We asked ourselves the same question the first time we went, especially after struggling for over 15 minutes to find a parking spot atop the mountain. The wind was blowing hard and the freezing air was biting our flesh. Those few steps we had to climb to reach the observation deck seemed to be draining our last drop of energy. We were so frozen, so beaten up, we couldn’t even move. But a few minutes later as the sun peeked through the horizon, all the discomfort and the inconveniences we experienced earlier have been forgotten. What we were seeing was so uplifting, so spiritual, it was almost surreal. The “ahs” and the “ohs” that filled the air confirmed that all those present were in agreement about that. 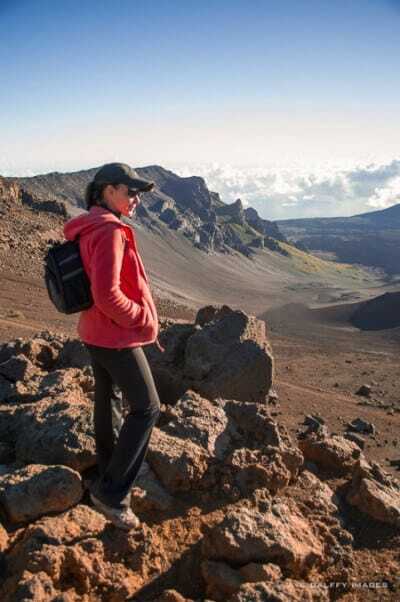 The Sunrise at Haleakala may be uplifting and inspirational, but before you venture on this memorable trip there are a few things you need to be prepared for. The success of this road trip relies on the starting time. What can be more disappointing than arriving 3-4 minutes after the sunrise, or missing it because you can’t find parking? What you should know is that every single day of the year hundreds of visitors overflow the few parking lots at the top of the mountain long before dawn. So arriving early is essential. Plan to be at the summit at least 45 minutes before sunrise to secure a spot. 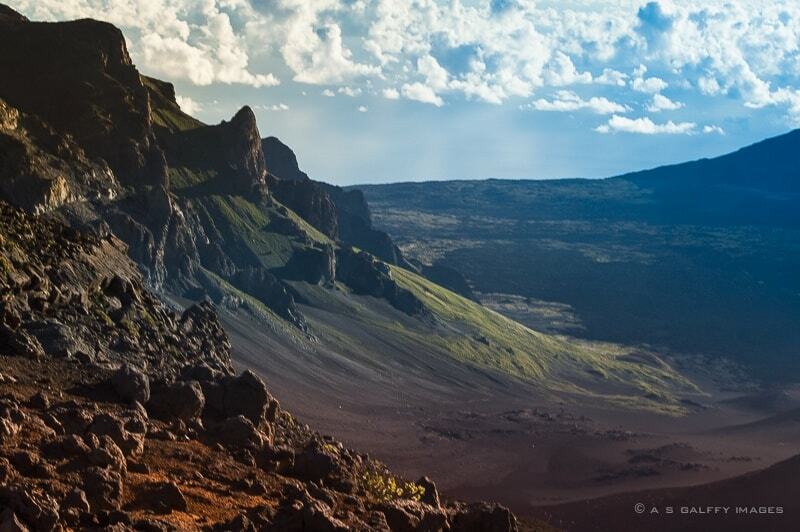 Depending where your starting point in Maui is, driving up the Haleakala Highway (HI37) can take up to two hours. The temperature at the summit of Haleakala is in the low 30s, but the wind chill factor makes it feel below freezing. It is unbelievably COLD! The first time we went I just brought a light jacket and I was frozen stiff. Dressing in layers is the best strategy, because once the sun is up the temperature rises considerably. Dress like for winter: gloves, a knit beanie, two layers of pants and a hooded jacket will keep you warm enough to enjoy the experience. We saw some people wrapped up in hotel blankets or beach towels, but they didn’t seem to be too comfortable. There is no food or gas station at the Haleakala National Park, so fill up your tank before you start the 11 mile ascent and bring some food and water. If you really die to have a cup of coffee, there is a place on the way to the summit where you can stop for a $4/cup mediocre coffee, but I wouldn’t waste precious time there. It’s basically a stand on the side of the road, open between 2:30 a.m and 7:30 a.m. If you want to catch some stunning pictures of the sunrise, you need to come prepared. Photographing a mountain at dawn is not an easy task, so for good clear shots you will need a tripod and a zoom lens. The best view of the crater is from the visitor center, but finding a good spot at the pavilion is difficult unless you arrive very early. But if you hike the little path to the right of the parking lot, you will find an excellent spot which is way less crowded. Most of the people rush to leave right after they saw the sun rise, without even looking around. But once the sun is up, an incredible show of form and color is revealed. 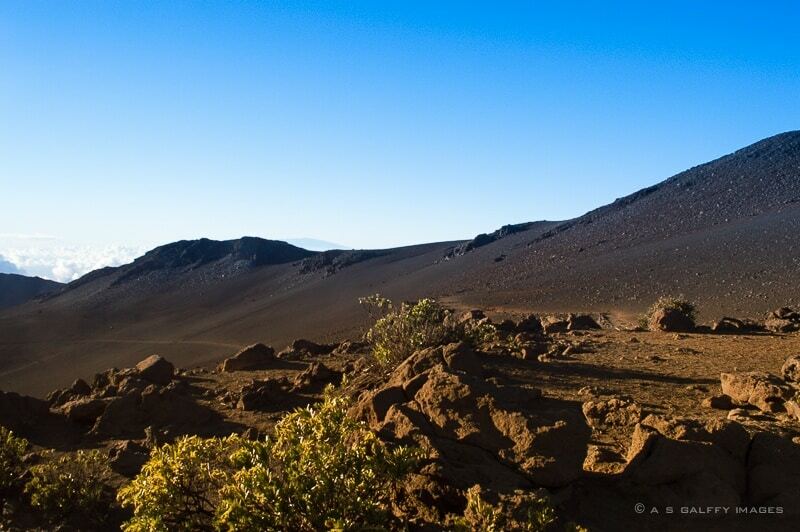 The dark red colors of the rocks around, mostly basalt, the ash and the cinder cones that cover the crater, will make you feel like you are on another planet. The view from the summit is breathtaking, 360° of spectacular landscape. 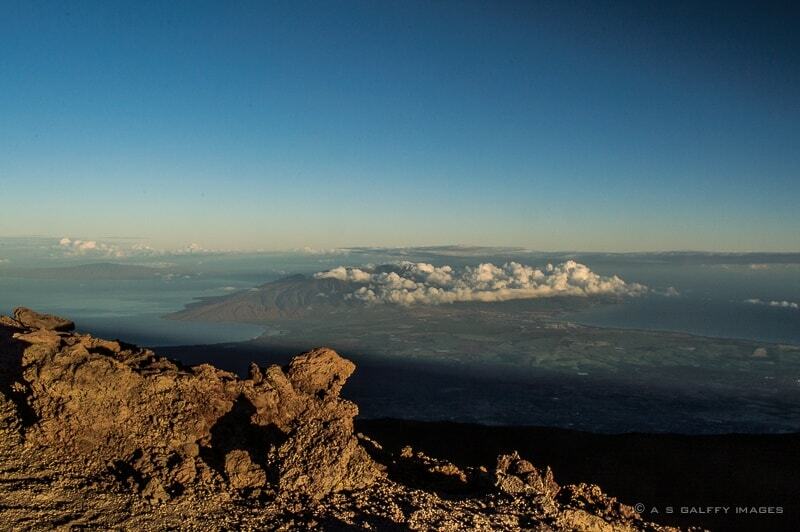 On a clear day you can see the Mauna Loa and Mauna Kea volcanoes on the Big Island. As you start your descent, there will be several look-out points where you can stop for great pictures and some more exploration. There are over 30 miles of hiking trails in the summit area, ranging from just 10 minutes to multi-day overnight trips. If you are planning to hike, be advised that the air is very rare up at over 10,000 feet, so you might need some adjustment at the high altitude before you proceed. Also, bring lots of water as it will get very hot during the day. 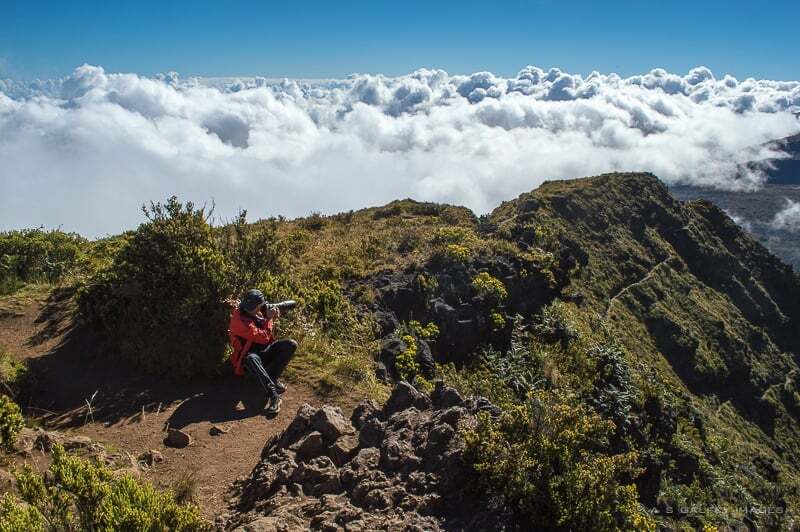 I hope the information I provided will help you plan your Haleakala trip better, so that you can fully enjoy the experience. However, if you feel overwhelmed and uneasy about driving up the mountain at night, don’t worry. You can book a guided tour for the summit that will pick you up from your hotel and then bring you back. How much of your comfort and convenience would you be willing to sacrifice in order to see a spectacular place? Tips for Traveling Light – The Fashion Dilemma Solved! Why is Dresden an Overlooked City? What an amazing hike and that sunrise was definitely worth it. So pretty. I'll have to do this sometime Anda! It's really worth seeing at least once, Corinne. This place is beyond beautiful! It is not an spectacle I will not want to miss. I guess you will have to pack warm clothes only for this spot. Low 30 is very cold. You have to prepare for that. It is freezing cold and very windy up there, Ruth. If you ever go pack a warm jacket, gloves and a hat. It warms up quite fast after the sun rises, however. I hear you, I'd sacrifice a lot for some good shots. Yea, I hear you, Tracy. I am not an early person either. That morning for the Haleakala sunrise was a real sacrifice. We once spent a week in Maui. It was tremendous fun but I don't thin we ever saw the sun rise. Love these stunning photos. 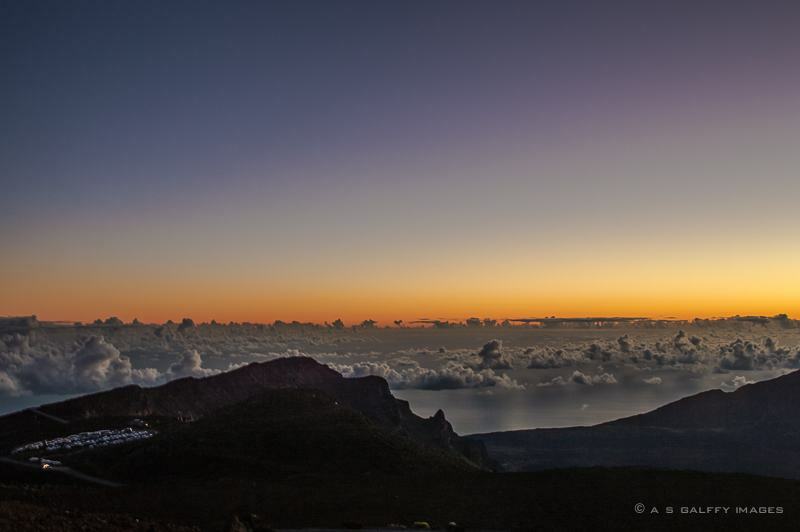 We went to Haleakala a few years ago and never made it for sunrise. We're not morning people much. So glad I got to virtually see these through you. We loved Haleakala though. It's such a special place. It's hard to get the kids going at 3:00 a.m., Mary, I agree with you. We went there 3-4 times so far and every time I felt it was a big sacrifice to get up so early. And what makes it very stressful is that if you don't move fast enough you can miss it. This is something we have never done, although we did go to Maui a long time ago. It is so beautiful and your tips are really useful. I would hate to get there and not find parking. I imagine that happens daily. What do people do? There is parking further down, but then you have to hike on foot to the Observation Deck and it's not an easy hike. Besides is freezing cold and very windy. Beautiful photos, I love the undercast clouds! Added to my hiking wish list! Hello, Anda, and thx for this post. 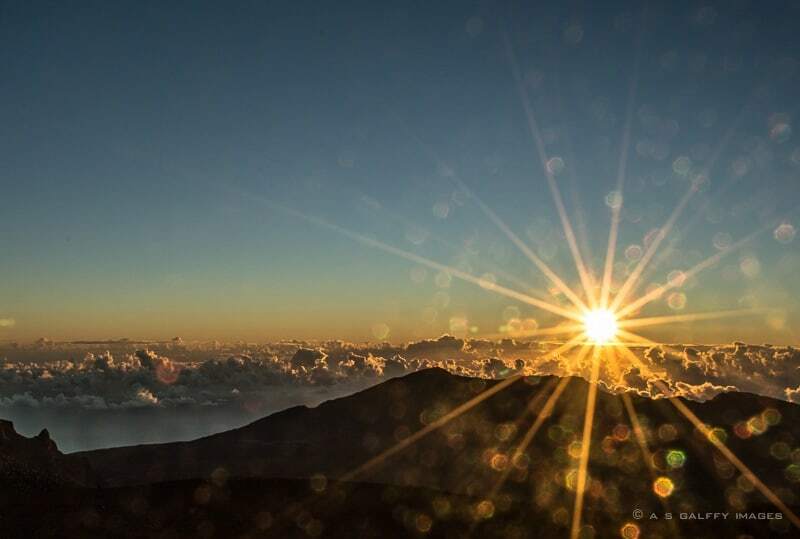 I have not seen the sunrise there, but have been to Haleakala and found it breathtaking. It was not clear on the morning we were going there, so need to rush for the sunrise. But yes, it's cold up there! So often, these locations where it is said to be there at a certain time, are not worthy of the hype. The sunset at Oia in Greece comes mind. I'd love to see the sunset at Oia in Greece, Doreen. Thanks for commenting. This looks fantastic. I would never travel with a tripod, but I love your shots. It's so important to remember that Hawaii has a lot more than just beaches and pineapple cocktails (though after this hike, i would enjoy one of those). I know what you are saying, Eileen. What would Hawaii be without a nice cocktail? Those shots with the sun are just stunning. You look like you had a spectacular experience. It's not my first time at the crater, Lydia. I always have a great experience there. What a lovely place, Anda! I'd love to visit it. The ascent was not difficult, Victoria. It's windy only at the very top of the mountain, if you stay outside. But even there is quite all right in the car. Besides, when the sun comes up the weather changes completely. We watched the sunrise a few years ago and totally froze even though we did bring some warm clothes. I saw people with hotel blankets and wished I had done the same. I wrote an essay about it, it is published on Mountain Gazette. When I was doing research I found out that one of the park rangers who is a native Hawaiian sings a traditional song at sunrise. Made me wish we'd been where she was so we could hear it. No one in my group wanted to stay around after sunrise so I need to go back and explore the park. I'm glad we stayed around after the sunrise this time. It was absolutely magnificent! Photographing the sunrise and sunset may be a little tricky if you want good pictures, but if you have a tripod it's not very difficult.